I received some great feedback to my original post entitled ‘Heavy metal is not just ‘shouty’ music’ but a few people criticised it for one important reason: my post only featured male vocalists. This was in no way deliberate and, to underline this point, I have decided to write a second post that puts some of the best female vocalists in rock and metal under the spotlight. Putting this blog post together was more difficult than I thought it would be for a number of reasons. Firstly, when I sat down to write this article, I realised that that there are a lot more female vocalists in heavy metal than I thought. Secondly, I realised that I don’t listen to nearly enough music with female vocalists as I should. Shame on me. The result is a very personal list that mentions those artists who have impressed me over time and more recently; the singers that genuinely stand out to me and offer something different. Naturally, there will be those of you reading this that are greater aficionados of female-fronted heavy music (if you can even pigeon-hole it all into such a tidy niche) that will vehemently disagree with my choices. But hey, that’s good – tell me who I’ve missed and why…maybe I could then write a supplementary blog once I’ve fully explored your suggestions. 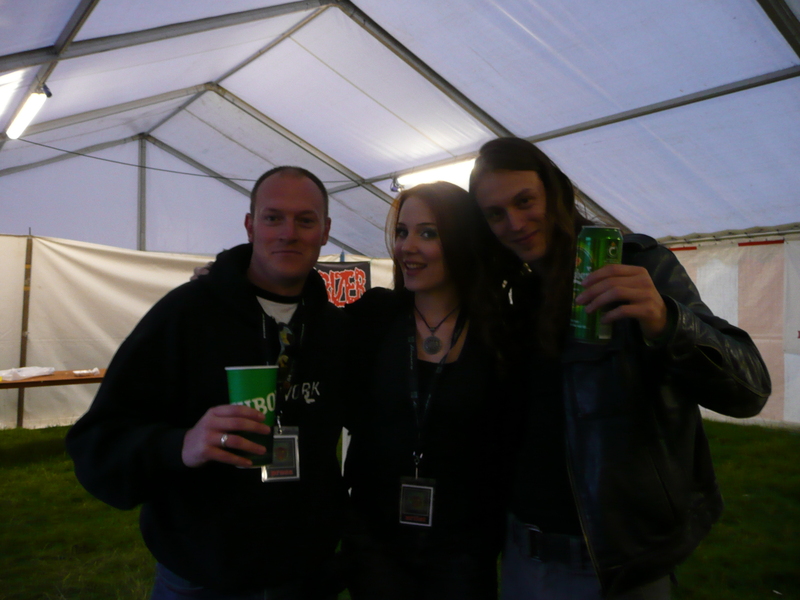 Anathema are in no way a female-fronted band; however they are a band that has within their ranks of late, a female vocalist in the form of Lee Douglas who is very special indeed. Mind you, that’s a bit of an understatement borne out of the fact that I find it hard to put into words how deeply Lee’s vocals affect me. I’m not sure that there’s another voice out there in any genre who can convey such emotion and touch me so deeply. Lee’s voice is elegant, graceful, beautiful, fragile, angelic and timeless. Ms Scabbia had to feature in this list because I’ve been a fan of hers and of Lacuna Coil from just about the very beginning. To be entirely accurate, Lacuna Coil feature dual vocalists and the interplay between them is what makes the band so interesting. That said, Cristina’s voice never ceases to impress me. It is full of power and attitude when required but it possesses a silky-smooth quality with an unmistakable Mediterranean flavour that frequently sends chills down my spine. 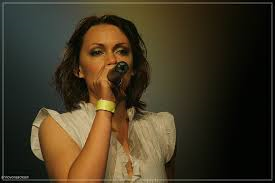 One of the original and best, Tarja Turunen is a rare talent. Bursting into the conscious of metal fans the world over with Nightwish, Tarja’s classically-trained operatic delivery forced just about everyone to stop and listen. Note perfect, emotionally charged and possessing a deceptive strength, Tarja’s voice remains instantly recognisable. Not content to tread water, Tarja, as a solo artist primarily, continues to push her vocal talents to new, ever impressive heights. I remember discovering Anneke van Giersbergen via the seminal The Gathering album, ‘Mandylion’ and, since then, I have been thoroughly smitten whether as a solo artist or more recently in conjunction with Devin Townsend or Arjen Lucassen. 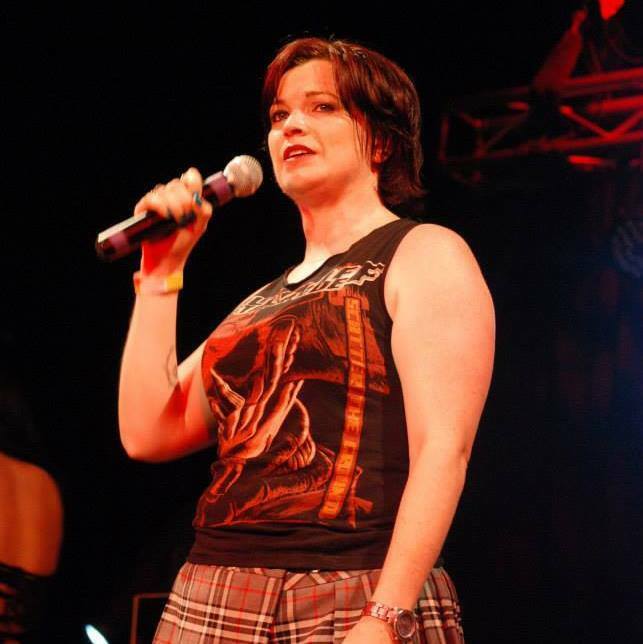 Anneke’s range is impressive and is capable of enhancing just about any kind of composition, from genres as diverse as Gothic metal, prog rock or even folk. Anneke’s delivery sounds so effortless and has a beautifully delicate, haunting quality to it that I adore. 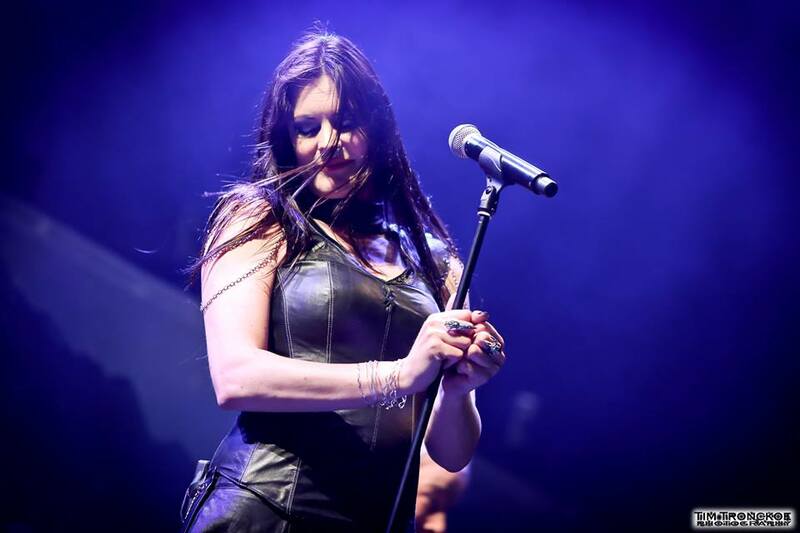 The sheer power of Floor Jansen’s voice is frightening. However, more frightening is her versatility as she is able to deliver a classical soprano one minute and then revert to an out-and-out rock voice the next. Whatever the style, Floor is note perfect, confident and completely convincing, to the point that whilst I was never a huge fan of After Forever or ReVamp, I listened because of Floor. 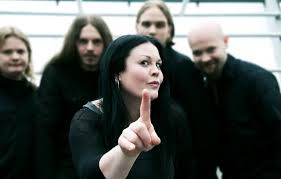 She may also be the much-needed saviour of Nightwish, although time will tell on that score. The delivery of Madder Mortem vocalist Agnete M. Kirkevaag won’t be to everyone’s taste and neither will their music either. Nevertheless, if there’s one female vocalist that has the ability to surprise, delight and confound in equal measure, in my opinion it has to be Agnete. Blessed with an impressive range and the guts to try anything, the result occasionally borders on the discordant and uncomfortable. However, this is juxtaposed almost schizophrenically with some really subtly beautiful quiet melodic passages when required. It takes a special vocalist to enhance and bring a certain amount of immediacy to a complex and technical form of jazz-influenced progressive metal. However, that’s exactly what Julie Kiss succeeds in doing. Her soothing and serene tone for the most part is coupled with a knack of creating unusual yet thoroughly engaging melodies to the point that the listener becomes enthralled and mesmerised by the end result. Not content with two male vocalists, Amaranthe also boast within their armoury one of my favourite female vocalists, Elize Ryd. Frankly, most pop singers could learn a thing or two from Ms Ryd given that she clearly understands how to consistently deliver addictive hooks and melodies via a potent voice. What’s more impressive is that her seductive tone has the range to be believable both atop catchy pop-like choruses or as a direct counterpoint to a full-on metal assault. Full of power and attitude, Triaxis’ vocalist Krissie Kirby is a force to be reckoned with and, as such, is without doubt one of my favourite female vocalists in heavy metal. It’s rare for a thrash metal band to be spearheaded by a female voice, but Krissie sounds perfect in the role, matching the scything riffs and heavy rhythm section blow for blow. And on several occasions, thanks to a great blend of melody and brute force, the impressive-lunged Krissie helps to take an already excellent Triaxis to a whole new level. What I like most about Epica’s Simone Simons is the variety and versatility in her vocal delivery. On the one hand, Simone is happy to project her rich, classical, operatic voice but then with little or no apparent effort, can switch to a more straight-up rock approach. And when the tempo slows, the softness and delicacy of Simone’s voice comes to the fore, in stark contrast to the growled male vocals with which she frequently duets. The fact that she is still so young means she can only get even better; what a wonderful thought. Always love working with female vocalists as their ego free. Thanks for the feedback – much appreciated. I’ll definitely check out your recommendation asap! Cheers. Great list. So impressed that you have a wide view of female vocalists. Krissie Kirby making your list makes me happy. She is an immense talent. One female vocalist I really love too is Sharleen from Incassum. I know your post is about dispelling the myth that metal is shout but, as well as demonic death growls, Sharlene sings beautiful clean sections. Great blog. Thank you Paul – appreciate you reading my blog & taking the time to comment. I’ve not heard Incassum, so I will rectify this as soon as possible! Many thanks again, I hope you will enjoy future posts too. I wouldn’t count Lee Douglas because Anathema are no longer a metal band and she never sung with them on any of their metal tracks, sadly. It would be very cool for Anathema, to not necessarily return to Serenades or The Silent Enigma, but to bring some metal heaviness back with other more original ideas of tomorrow. I’d like to hear how Lee would sing over a melodic metal / atmospheric rock Anathema track, and I think that would save the band from becoming a little predictable, because up until recently, they hadn’t written the same album twice, but the last album just sounds like a lesser version of the album before, which sounded like a lesser album of the album before that. Some of their recent tracks sound like b-sides that would never have been good enough to get onto We’re Here Because We’re Here, let alone anything prior. They need to shake things up I think. An album that has elements of everything Anathema – like the Resonance tour – (and like what Paradise Lost are currently doing) would be amazing and I think Lee would have an even better opportunity to show how great she can be. I’m new to Madder Mortem, I’ve got two of their albums and listened to this one here online, very good. I’ll try and get them all, I hope the re-release the first album though. I believe it’s oop and hard to find! Its a fair point, Anathema are no longer metal. However, they hold a special place in many metal fans’ hearts so I had to include them, particularly because her voice is stunning! I’m pleased you like Madder Mortem though – an acquired taste but oh so good! Thanks for reading my blog! Cheers. Blimey, thank you for such a nice comment, I’m pleased you like my article. Thanks also for reading – there will be plenty more in the weeks to come.